Rod Abrams Funeral Home Ltd. Dianne Gimblette - Rod Abrams Funeral Home Ltd. So sorry to hear of your loss. It has been years since I have seen Diane; she was a good friend and supported me through my teens. She was kind and caring. I pray you find comfort in the memories you share. For a very special Lady and a really special friend, from Bryan and family. We will miss you and all the good times we shared over the years. I’m sorry to here of Dianne’s passing.She was a great co-worker.She will be missed greatly. My heart goes out to you all in your time of sorrow. Know that you are in my thoughts and prayers. Dianne, such a beautiful lady with a heart of gold. You will be greatly missed but never forgotten my dear friend. So, so sorry to here of Dianne’s passing as next door neighbours we miss seeing her she was a great lady, greatly missed, our prayers and thoughts are with you all. Dear Bill, our thoughts are with you and the family. There are no words to convey how sorry we are to hear of Dianne’s passing. We will miss her smiling face…..
Dianne was a great human being and friend. I am greatly sorrowed to hear of her passing. I pray you find great comfort in all the wonderful memories you have together. Our deepest sympathies to Bill and your family. Diane was a genuine person and called a spade a spade! We enjoyed many good laughs and times together and her great sense of humor. We will truly miss her! Our deepest sympathies and our thoughts and prayers are with you all. I’m so sorry for your loss RIP Dianne. Bill and Family please except my condolences. Dianne was a great friend, lunch date and co-worker, although we lost touch over years, remembering a road trip the 4 of us took and the great memories we made. Hugs and prayers to all. So sad to here of Diane’s passing. Thoughts and prayers are with you through this difficult time. A good friend and neighbour Dianne will be greatly missed. Our condolance for all her family especially Bill. My condolences to the family. Such a gentle lady. A warm heart and a winning smile. She was one of the few people I worked with at the TDSB Call Centre who I knew I could always count on to bring me out of the dumps. A very positive lady. A true friend. 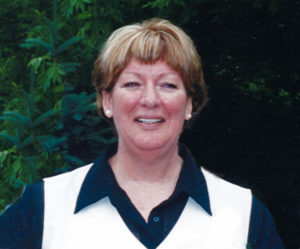 Dear Bill,and your family, we are saddened to hear of the loss of Dianne,who was such a kind, caring, good friend. Our sympathy, thoughts, and prayers are with all of you. We will miss her, but will hold onto fond memories. Our deepest sympathy to all of Dianne’s family and friends. We both worked with Dianne for years and were like a family there. Diane was dedicated, always positive and would help you out when you needed a kind word of support. We will always remember her laugh and smile!! Let’s always remember the good times in the bubble! Dear Kyle, Lea and family. We are sorry for the loss of your Mother/Grandmother. May you all find joy in the memories you’ve shared together. Dianne will be missed, never forgotten. To Kyle and the rest of the family please accept my deepest condolences you are in all our prayers Di you will be deeply missed . oxoxo May she rest in perfect peace. I had the opportunity of working with Dianne. She was a pleasant and positive person and I was fortunate to have known her. I got to know Dianne about 8 years ago when I sold fundraising tickets for Tecumseth Pines. She made this “job” a joy as I was always invited into her home for a little chat. Here I found a wonderful, happy, empathetic lady who I can call a true friend. Along with others who know Dianne, I too will miss her. Bill, and family, remember her with fond memories, she would want that. So very saddened to hear of Dianne’s passing. Our deepest condolences to you Bill and your family. My deepest sympathy to the family. I had the opportunity to work with Dianne. She was always positive and a beautiful person. She will be greatly missed by all. So sorry for your loss. My thoughts and prayers are with you at this sad time. When ever I spoke with Dianne she always brightened up my day.